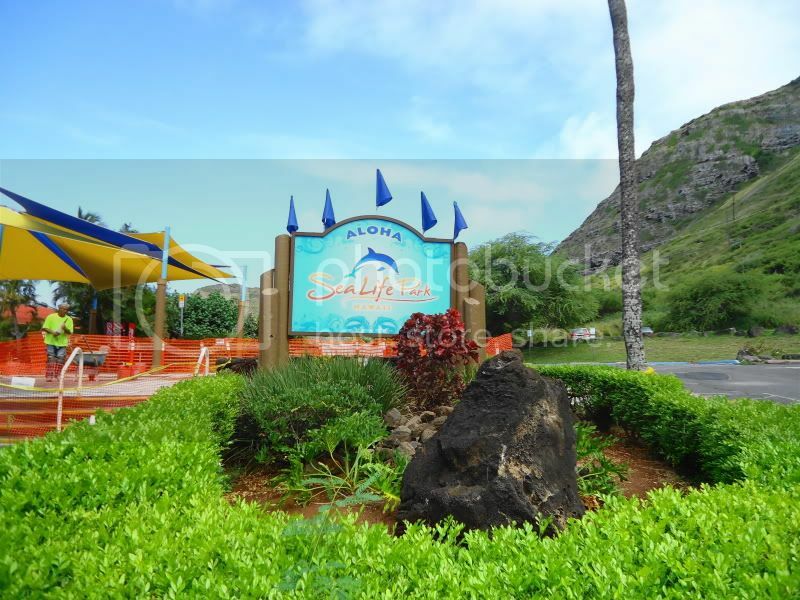 Located near the Makapuu Point LighthouseTrail, Oahu's Sea Life Park provides visitors with the rare oppurtunity to interact with exotic sea life and marine animals. 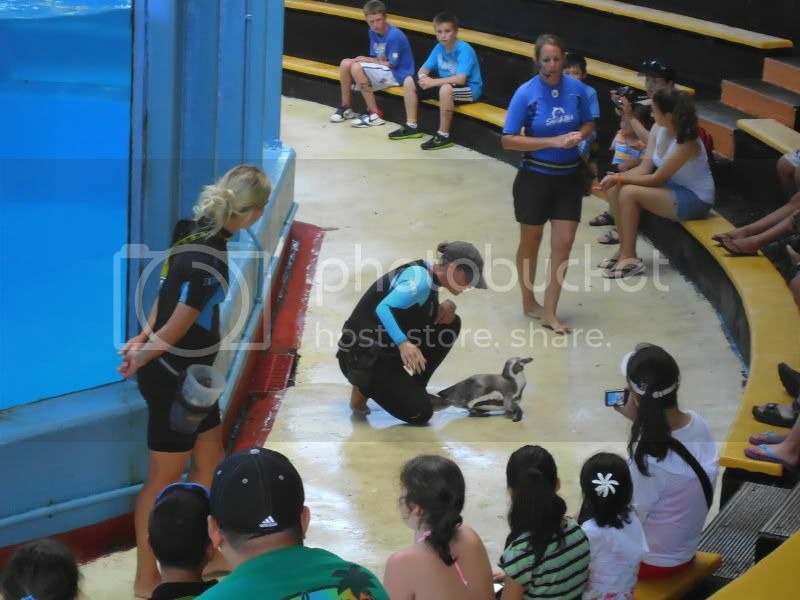 The family can swim with dolphins, feed sea lions, interact with penguins, feed sea turtles, and dive with sharks and rays. General Admission is $29.99 for adults and $19.99 (ages 3-12) Kama’aina (local resident) and active duty military stationed in Hawaii admission prices are available. The first activity my 2 year old and I encountered was the Hawaiian Reef Tank - a spiraling aquarium full of sharks rays, and Hawaiian reef fish. Children 8 and older can (Snuba Dive) the aquarium to hand feed the fish with an air hose attached to a helmet. For more info visit their programs and reservation page. 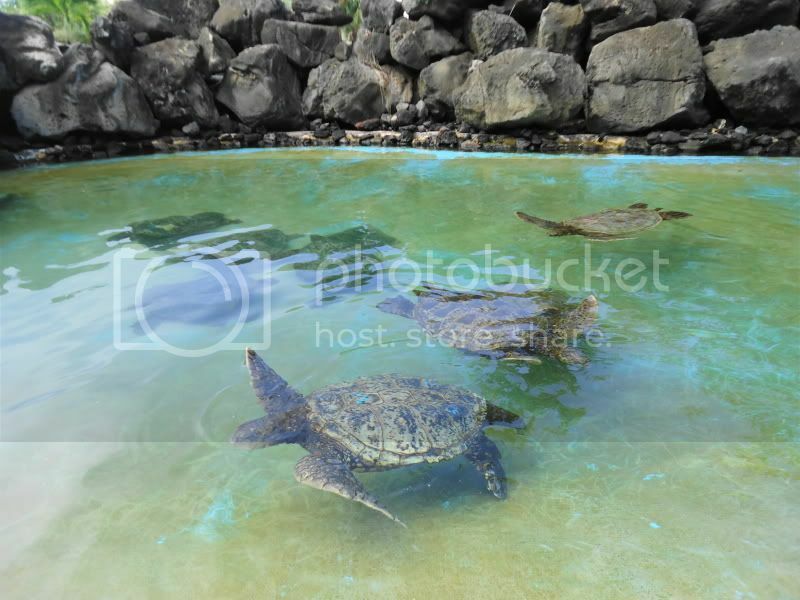 A photo of some of the Hawaiian Reef Tank inhabitants. 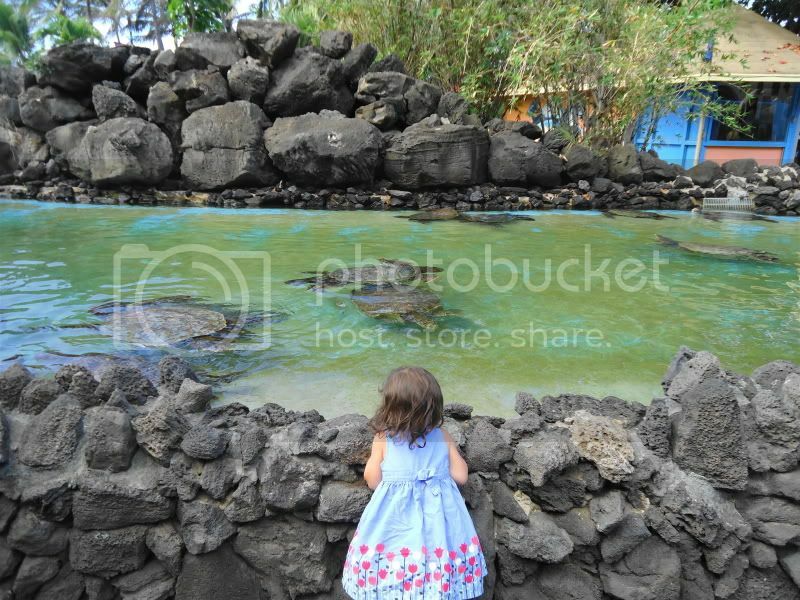 Outside the Hawaiian Reef Tank, they have a lagoon full of sea turtles. The family can learn about these amazing animals as trainers feed them during regularly scheduled turtle feedings at 11:00 am, 11:35 am, and 2:10 pm. The sea turtles seemed as curious of the kids as they were of them. Past the sea turtle exhibit and conveniently located next to their concession area, they have an Adventure Kids Play Zone. 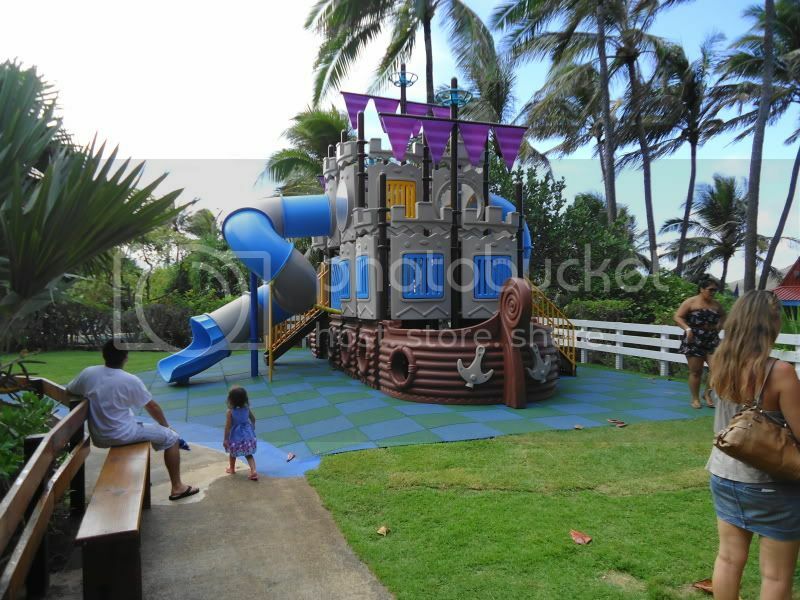 The Pirate’s Lagoon is a fun place where children can run around our miniature maze and play area. 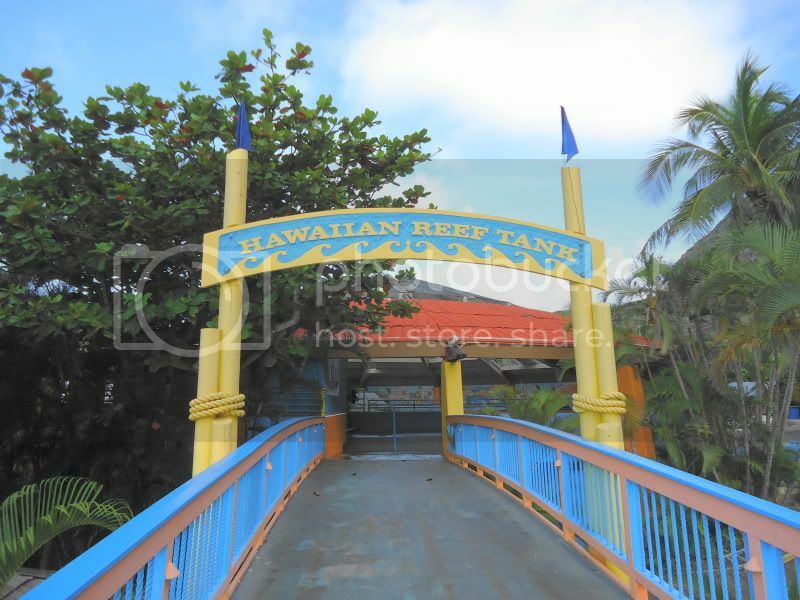 This spot is an ideal location for birthday parties and perfect for letting your little ones burn off the energy they acquire after their lunch. 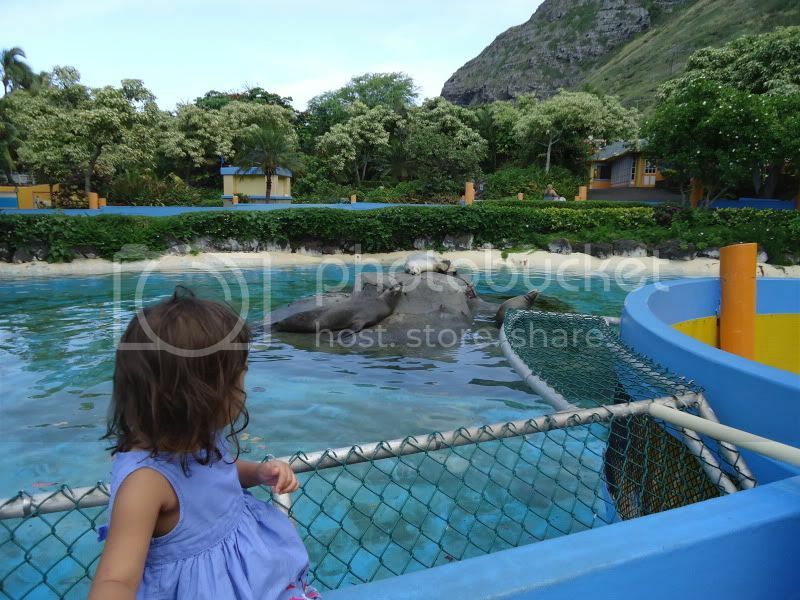 We were lucky enough to catch the start of one of the dolphin shows at the open air Hawaii Ocean Theater. 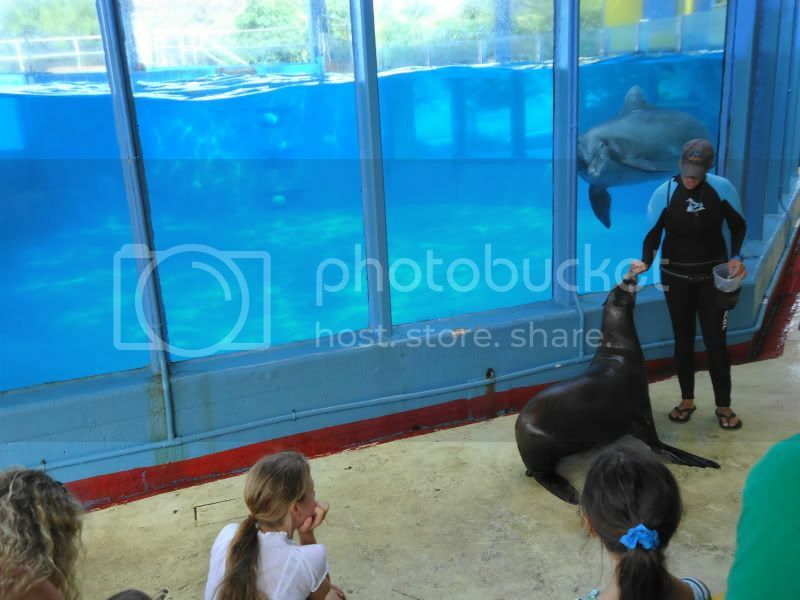 This entertaining and educational show includes dolphins, penguins, and sea lions. The showtimes are 1:45 pm and 3:40 pm and should not be missed. Here is video clip of the fun. 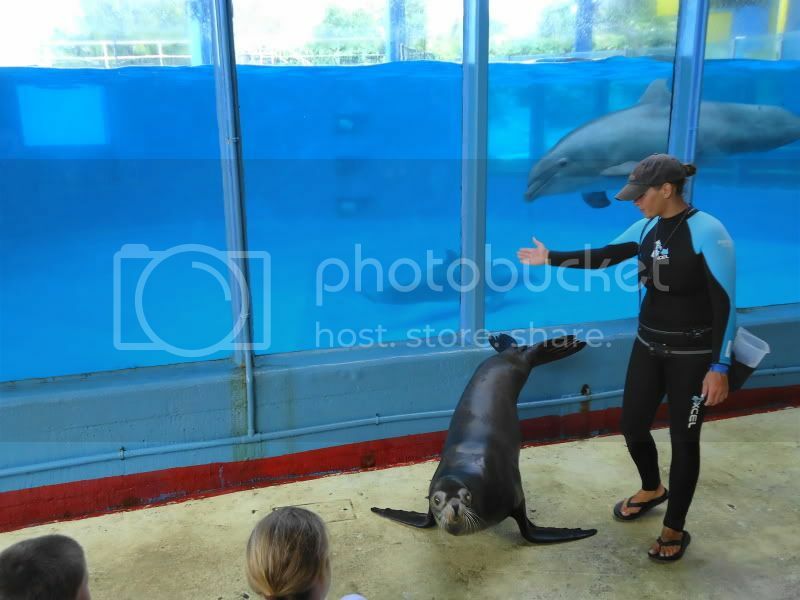 After the dolphins finished their amazing performance the trainers brought out the sea lions. 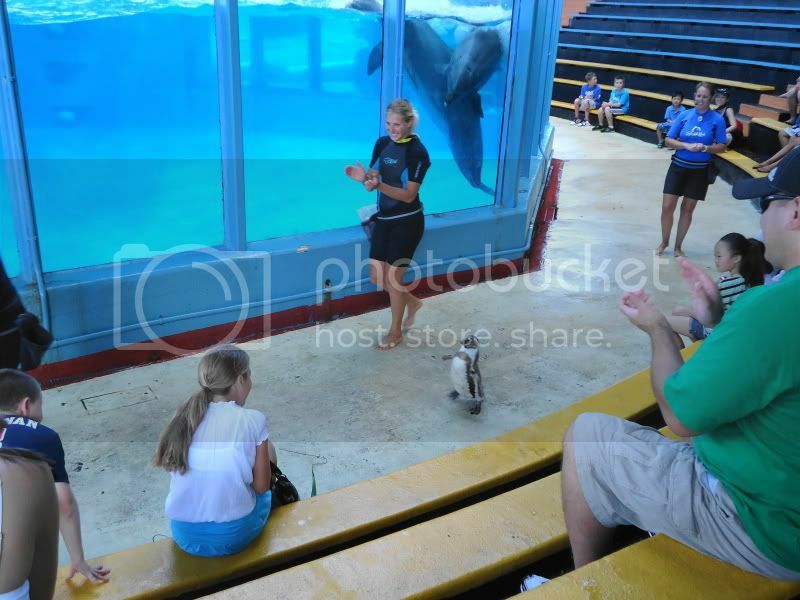 The charismatic black footed Penguin was introduced to the audience and preformed an entertaining dance the whole audience enjoyed. Visitors were able to get really close for pictures, but my daughter decided this was close enough. 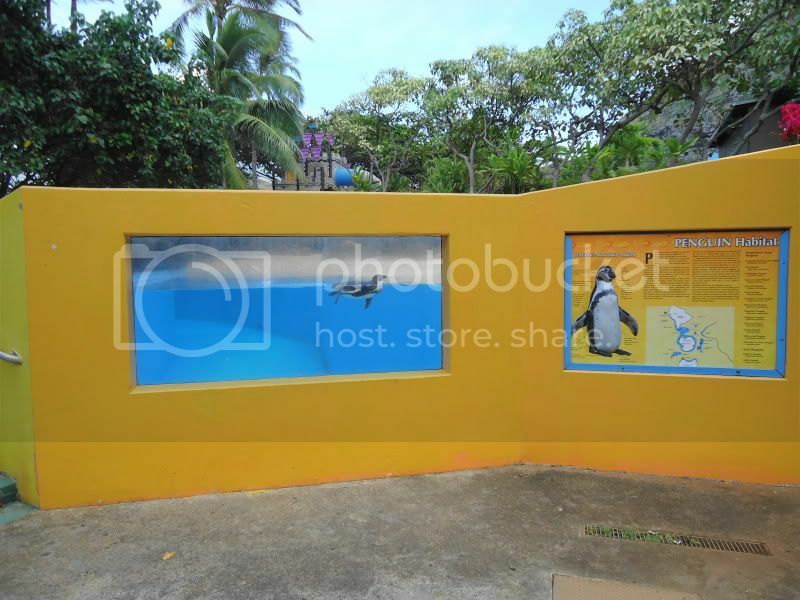 If the family cant get enough of the penguins like my daughter, they have their own exhibit where you can see them at your leisure. The dolphin cove has a beautiful backdrop to take some pictures with the family. 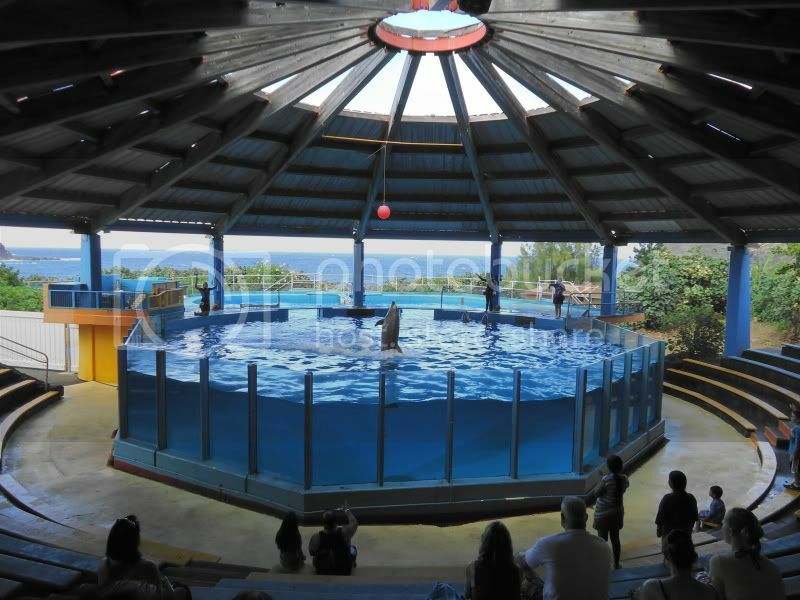 The cove has 3 programs where children 1 and up can swim with the dolphins accompanied by an adult. 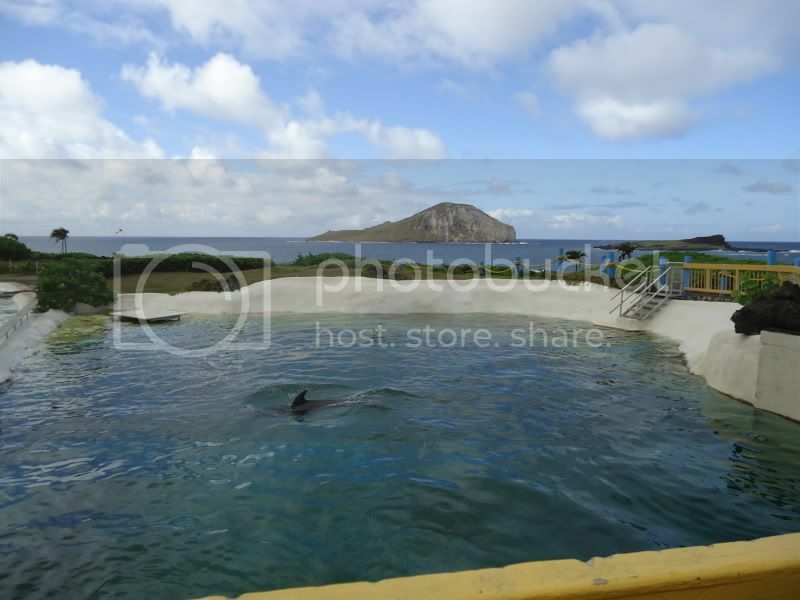 For more info check out their Dolphin Adventure reservation page. We ended the day at the Sea Lion habitat which had three large ones barking in tandem. My daughter and I really had a great time at the Sea Life Park and plan on making many return visits in the near future. 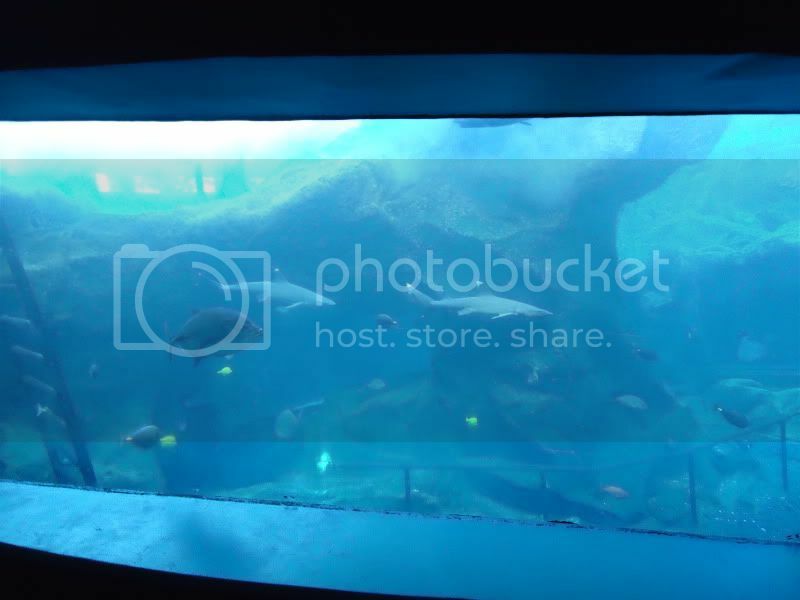 I have been to Sea World in Orlando and think the Sea Life Park was just as much fun. Your family wont be disappointed if you decide to make the trip. Enjoy! !